KCR is performed lying down fully clothed on a treatment table, with only the removal of shoes and socks. Jogging bottoms are recommended or any type of clothing which allows flexibility. Contact me to book your KCR appointment. Children love receiving KCR too as it helps restore calmness and research has shown that children on the autistic spectrum have benefited greatly from the effects of a KCR when their mothers have been treated. How much for a Kinetic Chain Release Treatment? ​What is KCR: KCR is a very simple yet extremely effective system of mobilizations and stretches that correct a leg length difference and helps restore balance. Recurrent, Hamstring Strains, Pelvic Problems, Tennis Elbow, T.M.J. Dysfunction, Wrist Problems, Bloating - Snoring / Sleep Apnoea – Insomnia - R.S.I. (Repetitive Stress Injury or Post Traumatic Stress Disorder? A leg length difference is often due to the pelvis becoming twisted or out of alignment, making it look like the legs are different lengths which can be caused by simply falling over. When the pelvis becomes imbalanced, it moves in order to find the best point of gravity and support for the body above, the upper body then compensates. When you are in pain, or have had an injury, you will compensate to cope and this can also lead to poor posture and suffering from chronic backache and other serious physical conditions. ​Founder & developer of the Kinetic Chain Release protocol and my teacher is also the author of The EARLY AGING WORK FORCE. A Must Read if you are concerned with your Health & Posture. 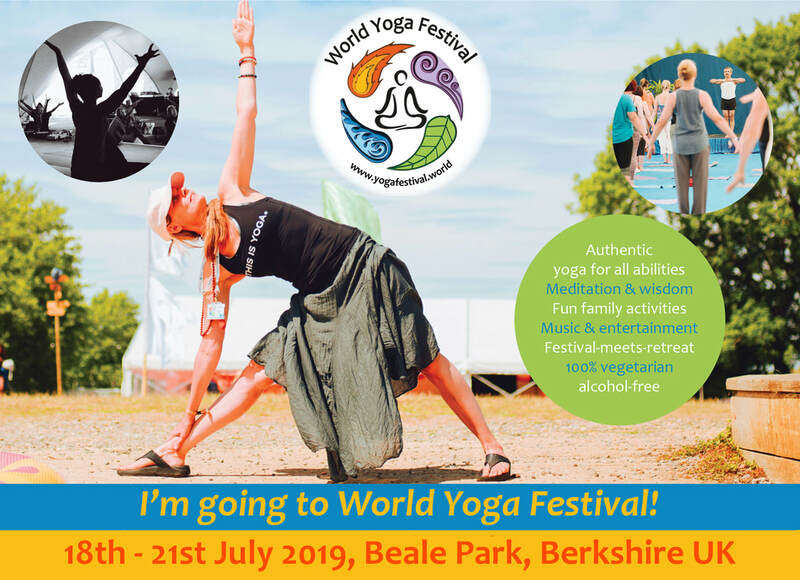 Katy West & her sister Helen will be working in the Healing Area at the World Yoga Festival This Year! Pop by on Day One to Receive Your Free Aloe Shot Card which will entitle you to a Free Shot of 99.7% Aloe Vera Gel Drink Every Morning Before Breakfast! First come, first served as limited cards available) ​ Look out for our Kinetic Chain Release & Forever Living Aloe Banners!